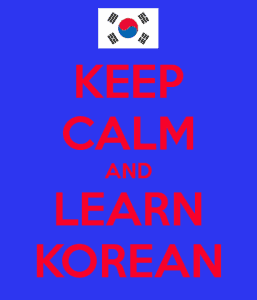 Korean is a challenging language to learn from scratch. For that reason, you need all the help you can possibly get. We previously covered some of the best textbooks for learning Korean, but it’s about time that we introduced some of the excellent online resources that are available for free. In any language, verbs form the vital medium for effective communication. Korean is no exception. Its tricky verb conjugations and challenging grammar present tough obstacles for learners. 500 Basic Korean Verbs is an invaluable reference that breaks down 500 of the most common Korean verbs. I recommend that all serious students of Korean pick this one up. 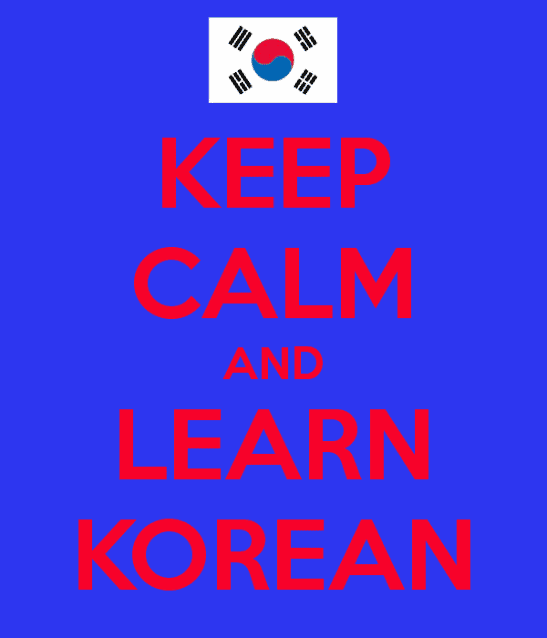 Until recently, Korean was a rare language for Westerners to learn. 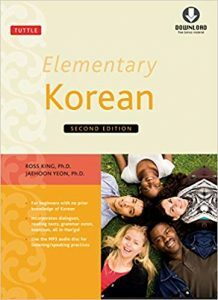 But thanks to the rapid economic development of South Korea, and increasing interest in Korean culture in recent years seems to have led to more Korean learning materials being made available (I’m lookin’ at you, Korean Dramas and K-Pop). Unfortunately, there are still less high-quality learning resources than you can find for learning Japanese or Chinese. That said, we did find some super useful books that helped us to get started with this challenging but beautiful language. It’s true that textbooks are no substitute for immersion into the language via culture (movies, dramas, podcasts, music), not to mention practice speaking with native speakers. However, a good textbook gives you the foundations to work with, by teaching you grammar, how to construct sentences, pronunciation rules, and how to read. Here are 10 of the best textbooks that we’ve come across for learning Korean. 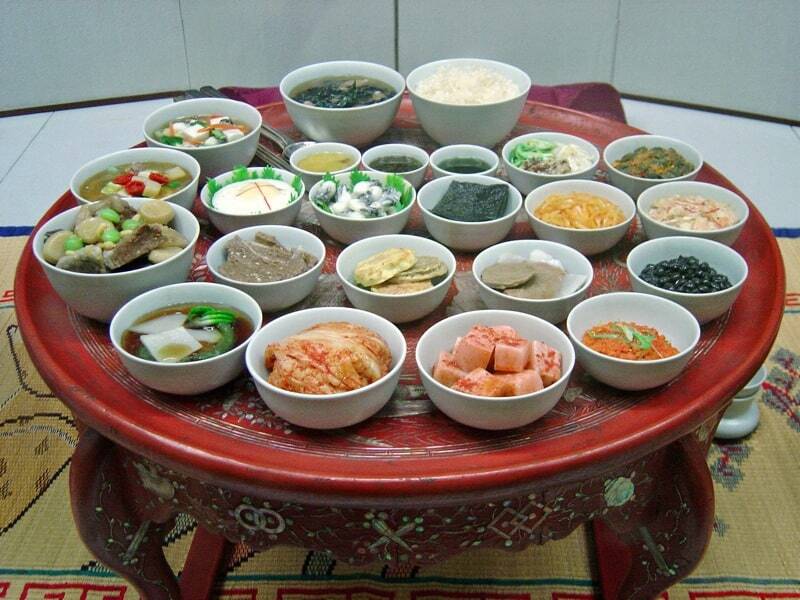 Elementary Korean is the gold standard for learning Korean by self study. 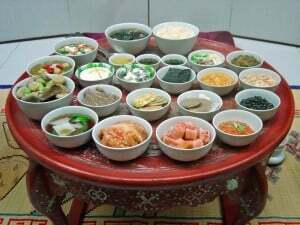 It is the most thorough and all-round introduction to Korean that I know of, and the logical structure makes it easy to follow. One thing that might turn you off is that it ‘feels’ a bit like a university textbook, in terms of the writing tone and level. All that said: this book will give you a comprehensive base in Korean. If you only buy one textbook for Korean, get this one. You get 384 pages of material and tons of practice exercises to boot. The higher levels in the series, Continuing Korean and Advanced Korean are also highly recommended. With its tricky pronunciation, complex grammar and elaborate honorific forms, the Korean language can present a daunting prospect. This was the first book I used when I started. It’s a nice option if you prefer a gentle introduction to Korean. It’s also entertaining with plenty of cultural information packed in. The $11 price (on Kindle) is quite reasonable when you consider that audio downloads are provided too. 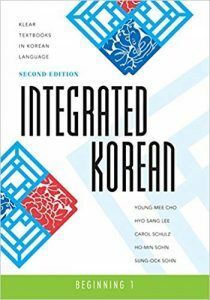 This is another university-style textbook, developed by the University of Hawaii for its students studying Korean. It’s a very good textbook for a university classroom, which doesn’t always translate 100% to self-study, but this one does a pretty good job. It’s more of an academic approach, which might appeal to some people over the more ‘conversational’ textbooks above. Has 10 volumes, so if you like this style, you can follow it all the way to advanced. 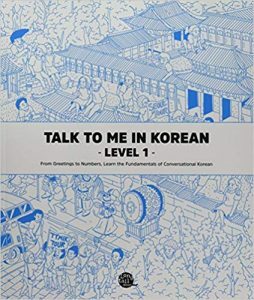 If you started studying Korean using online resources, you’ve probably come across the website Talk to Me in Korean — a site that’s been around since 2009. The team that run this website created this series of textbooks, and they’ve used their years of student feedback to get it right in textbook form. As the title suggests, the focus is on speaking right away, with minimal focus on grammar or learning to read. There’s tons of accompanying audio for you to speak along with. In this same series, there are also additional levels and a workbook with more exercises for each level. 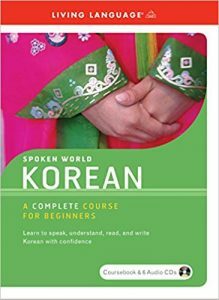 This book is the next logical step after Korean for Beginners. It goes into the grammar in more depth but still in a digestible form. I picked this book up in Seoul so I thought it might be tricky to buy online (update: I found it for sale on Amazon). 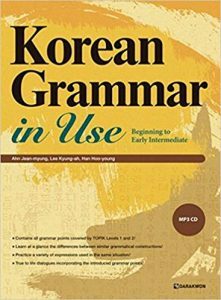 This is the most comprehensive Korean grammar book we could find. It includes all the grammatical forms in plenty of detail. 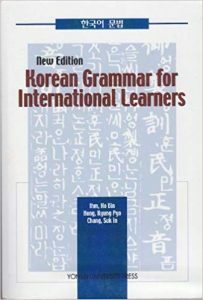 The book is also based on the official grammar textbook that is used in schools to teach grammar in South Korea, so you can rest easy knowing that you’re getting the correct answer when you’re looking up a point. One of the best points of this book is that each grammar point is packed with example sentences. Reading the examples really helps the reader to understand the point and see how it’s used. If you studied French or Spanish in High School, you probably have experience with this style of verb conjugation book (and maybe not a pleasant experience…). 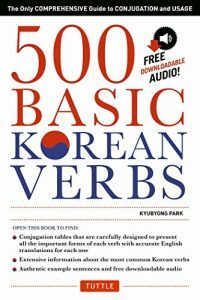 500 Basic Korean Verbs is an incredibly useful book for students of the Korean language. 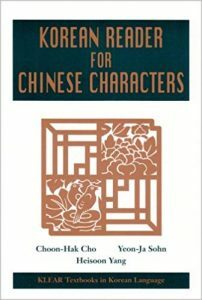 While it’s not for the beginning student (you don’t really need Chinese Characters until later), this book is a solid introduction to the Chinese characters (hanja) used in Korean. This book teaches you the most common 500 hanja by frequency of usage in modern Korean. It’s a good choice if you want to learn to read Korean literature or you’re simply curious about the Korean hanja like I was. Living Language have always made top notch course materials, and Spoken World — their latest offering for Korean — is no exception. 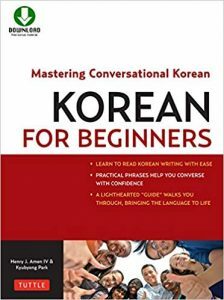 The focus in on learning conversational Korean in a comprehensive way, via listening and repeating, as well as the text. There are six CDs included with a separate course book. The dialogues are easy to understand and introduced in a logical order. You won’t get much grammar from this one but it’s a nice little audio course. Highly recommended. A lot of people find Korean a difficult language to pronounce correctly. The sounds are “different”, which can make listening quite challenging. In this respect, it was certainly much harder for me to get started than Japanese or even Chinese. In this Pimsleur audio course, the Korean speakers break down every syllable of each word which helps train your ear. Keep with this course and you will be speaking and understanding whole Korean sentences within a few days. You can try out Pimsleur Korean for free with an Audible 30 day trial. Download a taster course here. Side note: Audible is AMAZING for learning anything, not just languages. I listen to audiobooks probably 30% of my day, when I don’t need to be 100% focused: when I’m on the train, doing the dishes, etc. So there you have it. Those are the 10 best books we have found so far for learning Korean. Do you know of any other quality resources? Leave a comment below! After several false starts, I have finally begun to learn Korean seriously. During lunch breaks, I have been listening to Pimsleur Korean to ease myself into a daily study regime. Wordlist Sidebar: Press ‘S’ while displaying an entry to save it to the wordlist. (Also is a “Grab Entries!” button, but more about that in a later post. Stay tuned.) You can add, delete, and export these entries to a file whenever you want. Japanese and Chinese united: Now both Japanese and Chinese are handled in 1 plug-in by adding the dictionaries you want. Korean support coming very soon! Currenty it will display the romanized pronunciation but I dont have a dictionary to use yet. Can anyone help? StatusBar Icon: Now everything is easily controlled via the Perapera-kun status bar icon. Enable multiple languages with one click, options dialog, and more. New Chinese-English Dictionary: I now use the open public CCEDICT to feed the entries for Chinese-English. This should fix alot of the inconsistencies the previous dictionary had. Chinese-German Dictionary: Uses the HanDeDict open public dictionary for Chinese-German. Please only install 1 Chinese dictionary at a time. Redeigned options dialog that is cleaner and easier to use. After you download the add-on you will need to install the dictionary add-on for the language you want to use. For Japanese, visit polarcloud.com to install one of those dictionaries and for Chinese, download the English or German dictionary in my download box or in the links below. Thanks for using and I look forward to your feedback. **LINKS UPDATED: The following links will now download from Mozilla.